Be an individual in good standing in the Association. Must own, rent or lease property in the State of Missouri or Johnson County, Kansas prior to the first day of the tournament. Must have a current USGA Handicap Index (Hdcp/I) from an authorized USGA club. A SENIOR shall be one who has reached the age of 50 on or before the first day of the tournament. Entries are subject to rejection at any time by the MGA. The reason for rejection may include unbecoming conduct or improper dress. All contestants must adhere to The Rules of Amateur Status as specified by the USGA. All entries are subject to approval by the Board of Directors of the Missouri Golf Association. Entry fees shall be refunded less a $30.00 administrative fee, if withdrawal occurs prior to the entry deadline stated above or if the field is full on the first day of play. If the field is not full, there shall be no refund for a withdrawal made after the entry deadline date. All entrants are expected to complete tournament play. If one withdraws for a reason deemed unacceptable by the Tournament Committee, she may be ineligible to play in further MGA events. This is a thirty-six (36) hole, stroke play competition. 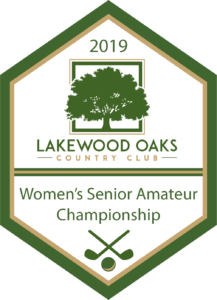 Any contestant may compete for the title MGA Women’s Champion and play in the Championship Division OR forfeit the right to compete for the title MGA Women’s Senior and play in the Open Division. A contestant with a Hdcp/I of 7.9 and below must compete in the Championship Division. The contestant MUST indicate on her entry whether she will compete in the Championship or Open Division. A contestant may not change her chosen division once her entry is submitted. The two day low gross score shall determine the Senior Champion. The two day low net score shall determine the Net Winner. Ties for the Senior Champion and Net Winner shall be determined by a sudden death playoff beginning on a hole to be determined by the Tournament Committee; all other ties shall be decided according to the USGA Rules of Golf, Appendix 1, Part C, Section 10, Stroke Play (c), paragraph 1 (last nine holes shall be 10-18). Caddies are allowed during all portions of the Championship. Each player may walk or ride during any portion of the Championship. A contestant with a Hdcp/I of 7.9 and below MUST compete in the Championship Division regardless of age. Any player can choose to compete in the Championship Division regardless of age. Open Division players (Hdcp/I of 8 or more) 50 and over will be flighted after round one.